Entertainment and Fashion Galore: Who really she is! 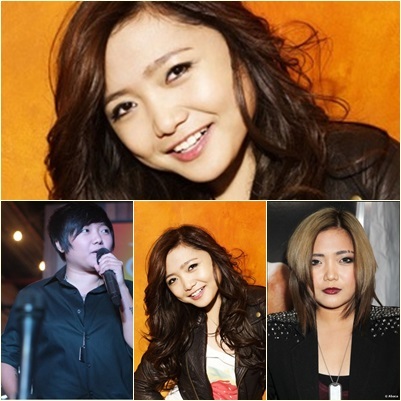 If you often read news online then you will notice that Charice Pempengco is one of the higher trending news! It is not so strange knowing that she finally accepted and revealed to public her real sexuality that she is a Lesbian. This rumors has been in news long time ago but no proof and no confirmation from her. So lately, the end has come to hide out her real personality. Being a Lesbian as she said has nothing wrong, she is still the same but just that she is liking not into men but for women. We must put respect to her as she of course know what she really is doing by accepting and revealing the real her. Anyway, now that we all know that she is a Lesbian the media will have to accept it. Her fans has different opinions about this revelation but the good thing is that she really accepts it finally. Rumors has ended with reality. Got to check her pictures online and here what I found. These pictures are not mine, I just compiled it and posted here. Got all these by just simply checking photos via google browsing. This entry was posted on 11:20 AM You can follow any responses to this entry through the RSS 2.0 feed. You can leave a response, or trackback from your own site.